With California commemorating “Invasive Species Action Week”, now is a good time to think about actions that we can all take to help save and recover salmon in California. Although there are many factors that affect salmon survival, biologists seem to agree that a large and increasing percentage of young salmon are dying as a result of predation by non-native, invasive, fish. “The goals of the California Invasive Species Action Week are to increase public awareness of invasive species issues and promote public participation in the fight against California’s invasive species and their impacts on our natural resources.” This call for help is particularly important to protect native salmon–addressing predation by invasive fish is an important incremental step forward to address one of the obvious stressors on salmon and steelhead survival in California. For the past several decades, water resources managers, conservation organizations and federal and state agencies have been collaborating and working hard to advance both environmental and economic stewardship across the Sacramento Valley. 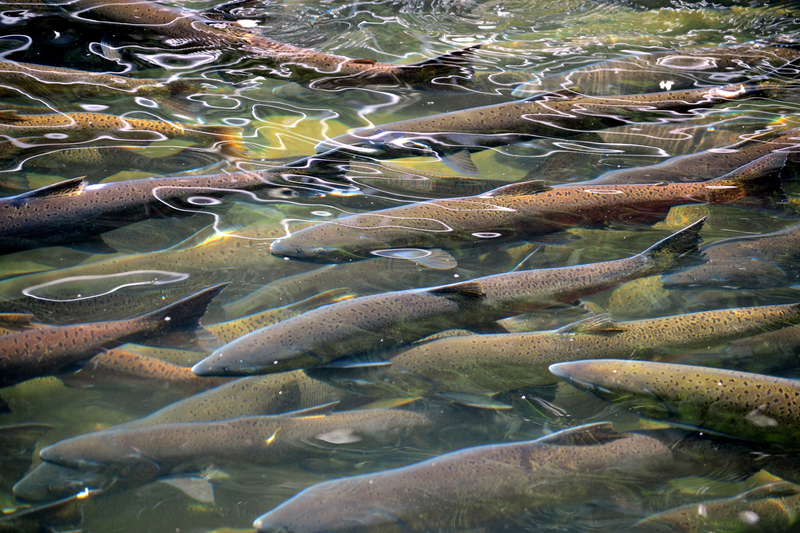 This includes an aggressive implementation program to recover endangered and threatened salmon and steelhead, including the National Oceanic and Atmospheric Administration (NOAA) Recovery Plan and the Sacramento Valley Salmon Recovery Program. This week provides an opportunity to spotlight and acknowledge that predation is a serious problem affecting endangered salmon and steelhead. It is well known and documented that bass and catfish, which are not native to California, prey on native salmon and steelhead and thus pose a serious threat to their existence and survival. Both the NOAA Fisheries and independent research has shown that predation from non-native species, such as bass and catfish, is a significant stressor on salmon and steelhead populations and threatens the existence of these species. It is therefore important that federal and state policies reflect this dynamic and begin to take incremental steps to address the large impact introduced predator fish have on salmon survival. These efforts are also important to help protect the significant investments that will continue to be made to recover endangered and threatened salmon and steelhead in the Sacramento Valley. To be sure, predation is not the only stressor on salmon and steelhead and addressing predation will not recover salmon as a stand-alone measure. However, until significant progress is made to address predation issues, we will not realize the full benefit of upstream actions that have and will continue to be taken in the Sacramento Valley as part of the Sacramento Valley Salmon Recovery Program. This week, a broad coalition of water suppliers throughout the state petitioned the California Fish and Game Commission asking them to address predation of endangered salmon by non-native predator species. More specifically, the petition seeks to modify size and bag limits for striped bass and black bass. The Commission adopting these modified regulations would be one small incremental step forward to address predation and to protect the significant investments that water suppliers have and will continue to make to help recover salmon in California.